MAJOR PRICE CORRECTION Welcome home to this charming, traditional Studio City retreat. Grand vaulted entry with gleaming teak wood floors. Amazing floor plan, spacious rooms. The updated kitchen features stainless steel appliances, granite counters and custom cherry wood cabinets opens to spacious family room accented with beautiful french gliders.. The formal dining room, living room and family room complete your indoor entertaining areas! The beautiful master suite has a full bathroom with Travertine double shower, custom cherry vanity, walk in closet and dressing area. Newly remodeled 2nd bath with Carrera marble bath/shower. Heated pool and Trex wood deck perfect for entertaining. Garage has wall to wall storage cabinets. Property has alot to offer and is a must see! Lot Size: 0.17 Acres / 7319 Sq. Ft.
SchoolsClick map icons below to view information for schools near 12349 Milbank Street Studio City, CA 91604. Listing provided courtesy of Patty Ray, Compass. 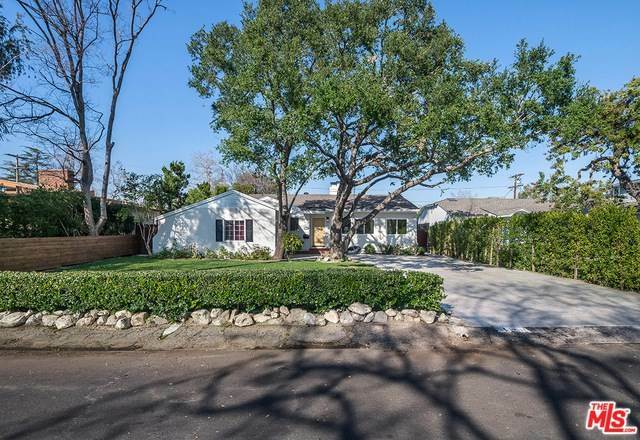 Home for sale at 12349 Milbank Street Studio City, CA 91604. Description: The home at 12349 Milbank Street Studio City, CA 91604 with the MLS Number 19433378 is currently listed at $1,356,000 and has been on the Studio City market for 65 days. You are viewing the MLS property details of the home for sale at 12349 Milbank Street Studio City, CA 91604, which includes 3 bedrooms, 2 bathrooms and has approximately 2254 sq.ft. of living area.